Although every company is unique, there are some maintenance and reliability truths that apply to most organizations. These case studies look at many forms of maintenance, leadership, processes, planning, and more. While focused on specific businesses, all maintenance and reliability professionals can learn lessons from their successes and mistakes. With uptime over the 90 percent mark, this plant is a shining example of what can happen when energized people and powerful tools come together to drive improvement. The factory, which manufactures engines and components for three powertrain variations installed on Harley-Davidson brand motorcycles, is not a newcomer to progressive maintenance strategies. This Harley-Davidson plant excels with proactive and predictive maintenance. After decades of decent yet sub optimized plant maintenance performance, Frito-Lay made concerted efforts to address asset care - including preventive maintenance activities and machinery lubrication. 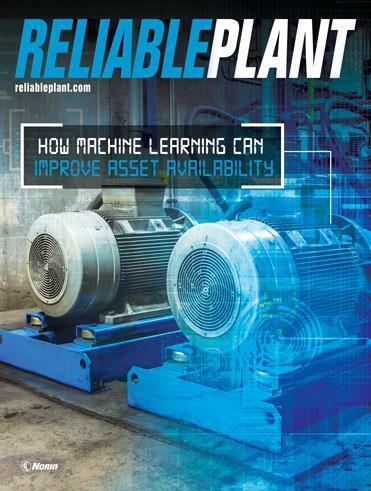 The push to improve reliability has unleashed capacity, productivity and innovation in this high-demand, cost-cognizant industry. We Energies has earned a reputation as one of the most progressive utilities in the nation when it comes to maintenance and reliability. Vibration analysis. Infrared thermography. Oil analysis and lubricant optimization. Acoustic ultrasound and ultrasonic testing. Each is a part of We Energies' past, present and future. Uptime nears 100 percent in some mission-critical areas. Maintenance attention is equally focused on the past, the present and the future (up to seven years down the line). Reactive work in some areas comprises less than 5 percent of the overall task load. Maintenance planning improvements and planning prowess have made an impact at MillerCoors. Completed PM work has risen dramatically. Equipment availability, productivity and uptime have all increased. All this has led to reduced maintenance costs. Equipment availability, productivity and uptime have all increased. All this has led to reduced maintenance costs. In one year $2.4 million in improvements were linked to OEE gains. Fully reactive maintenance. Frequent breakdowns. A lack of data and equipment history. Band-Aid repairs. Skewed recognition and compensation. Finger-pointing. No time for planning, scheduling, preventive maintenance, predictive maintenance, and implementation and utilization of root cause activities. Century Aluminum has been there and done that. It is a part of its past, and it is moving on. The Raytheon Missile Systems crew steadily advances using meaningful preventive maintenance, predictive maintenance, better planning and scheduling, root cause analysis and lean manufacturing principles. After beginning a lubrication excellence program, Alcoa Point Comfort Operations achieved an annual savings of $800,000 in lubricants, bearings and rotating equipment alone. The goal at Toyota is to reduce maintenance activities and the maintenance that you perform on a machine by 50 percent. That goal covers every machine and every activity. At Eli Lilly, maintenance and reliability work that enhances productivity allows the company to get high-quality, life-sustaining medicine in the hands of those who need it. Energizer reduced the number of mechanics who fight fires or work reactively on the floor and increased the number who are focused on planned, predictive, preventive and proactive work. They are using resources in a different way and a lean way. When maintenance workers took advantage of retirement opportunities U.S. Steel Fairfield was decided to aggressively select, train and develop their own. Fewer breakdowns, continuous improvement and increased reliability are just everyday business at Clopay. Utilizing elements of predictive, preventive and precision maintenance as well as lean manufacturing, they make hundreds of pieces of production equipment more reliable and the plant exceptionally cost-competitive. Piston plant takes proactive, team approach to ensuring reliability and overall equipment effectiveness with a strong emphasis on Total Productive Maintenance and lean manufacturing. Valero Energy has had dramatic results since improving their lubrication including $140,000/year savings on lubricants, plant availability approaching 98 percent (impressive for a refining plant) and reduced slip/fall and environmental hazards, plus fewer injuries. With physician-like diagnosis skills and surgeon-like precision, the maintenance and plant services personnel at Honda's Lincoln, Ala., location target elements of disarray, untidiness and uncleanliness, and remove these distractions. The result is a winning attitude and an environment that is productive and efficient, organized and reliable. This bat factory’s status regarding machinery maintenance is exceptional, but the way that it achieves high levels of plant reliability is evolving. For the past quarter-century, the wood bat factory's difference-maker has been knowledge and experience, mixed with the teachings of W. Edwards Deming. INVISTA systematically created an award-winning lubrication program based on two principles: put the right oil in the right equipment and keep that oil clean. Oil analysis is used on 210 pieces of equipment as well as to spot check new oil quality. Big rewards, new reputation and good publicity are among the results of Alcoa power plant’s journey to reliability excellence. Planning and scheduling, standardized work, root cause failure analysis and predictive maintenance play a big part in their success. There is no denying maintenance's role in securing flow, reliability and lean success at award-winning Batesville Casket plant. Critical areas of the plant's production process boast 99 percent uptime. In less-critical areas, the figure is 96 percent. Packaging Corporation of America focused intensely on their lubrication processes, training and lubricant contamination control. As a result, oil usage dropped 28% and unscheduled downtime dropped 62% on one paper machine and 37% on another. Boeing's maintenance organization in Seattle is on the rise by thinking differently, simply and creatively. Boeing maintenance has spent a considerable amount of time to identify and standardize best practices, incorporate lean principles, push creativity and innovation, and rationalize its work and focus on the tasks that add value. The New Translation. TPM takes on a deeper meaning at the Tecate Brewery in Mexico including an all-consuming passion to improve reliability, productivity, safety and ecology, and the bottom line. By covering 98 percent of plant equipment with lubrication improvements and 22 percent with oil analysis, the plant has reduced lubricant usage and saved the company money. Machinery is running better with fewer breakdowns, leading to increased productivity. Navistar Diesel of Alabama has truly taken a non-conventional approach to maintenance, operations and engineering. They believe that a commitment to 'Blended Best Practices' and 'Empowered Teams Exceeding Expectation' will maximize product value. Reliability is imperative in the cement business, where limestone dust and other particulate matter can cake onto (and deposit into) the massive production equipment. The traditional solution within the industry has been to throw people, time and money at asset-related problems. But success in this market, which grows more competitive each year, requires progressive thinking. With so much equipment and such stringent demands, reliability and uptime has long been an area of focus. Implementing best practices can be a challenge, especially when it means changing long-established practices. 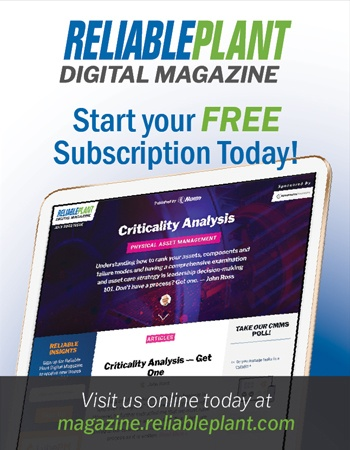 Uptime on critical equipment exceeds 97 percent. The maintenance department logged a 27.8 percent reduction in repair costs over a three-year period. Just five maintenance associates are assigned each day to handle firefighting calls, a great improvement over a decade ago.